44.000 kilometers around the world in a sailboat, alone, without stopping, without assistance, and as fast as possible. Ari Huusela wants to achieve what less than a hundred people have done before him. 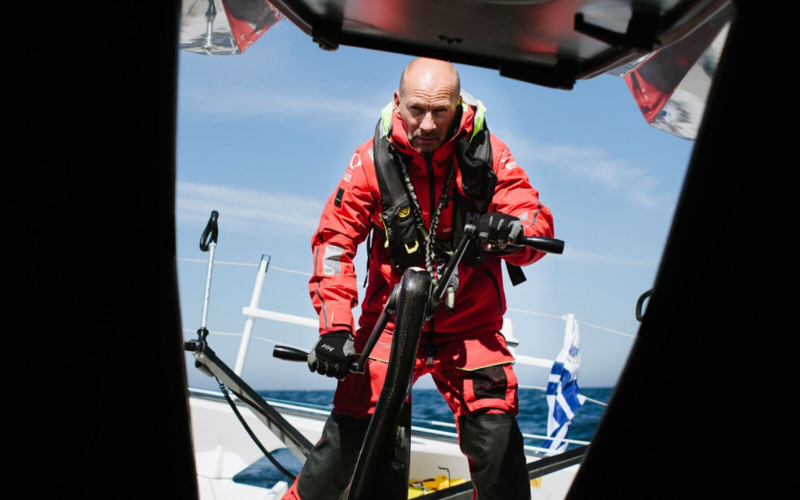 The 56-year old Airbus 350 airline captain and sailor wants to begin a new chapter in Nordic sailing. I did not grow up in a sailboat. In fact, I began to systematically develop my sailing skills only at the age of 24. As in any demanding sport, you have a lot to catch up when you begin training as an adult. In ocean racing, there are many variables to master – driving the boat; reading the weather; withstanding extreme conditions; mental strength; and physical endurance. I have been driven by a hunger to accomplish my goals and the unbelievable beauty of being alone at sea. My professional background is a benefit in understanding a sailboat. I worked many years as an airplane mechanic and cargo pilot. My persistence paid off when I was accepted in commercial pilot training. In my day job with the captain’s hat on, I sort of sail in the air. Only the airplane wing is horizontal, while a sailboat’s wing is set up vertically. I typically approach things in life with realistic expectations. Everyone is allowed to dream big, though. Being in the winning team of the national Finnish championships in ocean racing 20 years ago made me realize that I have the capacity to make it to even higher-profile competitions. Four years ago, I accomplished my biggest dream thus far by sailing the legendary solo 5,500-kilometer Route du Rhum from France to the Caribbean and being the first Nordic sailor to cross the finish line. 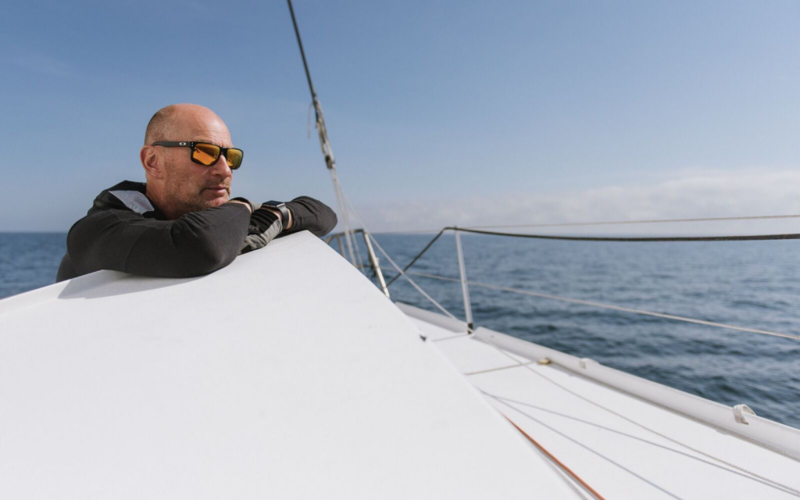 Over my thirty years in ocean racing, I have experienced amazing accomplishments and bitter moments of misfortune. The Vendée Globe solo sailing competition, which sees the sailors spending around three months alone in a boat and sailing around the globe clockwise through the Atlantic and Pacific Ocean, is the biggest challenge I’ve ever undertaken. It is by any standards one of the most demanding feats in extreme sports in the world. Less than a hundred people have ever achieved to finish it. Safety is always the first priority in my job as pilot. This is also reflected in the way I sail. When alone at sea, the nearest help may be over a thousand kilometers away. In extreme conditions, even a small problem can quickly escalate and multiply. Therefore, before every competition, I focus on getting ready mentally and physically, study the route in detail, equip the boat well and go through possible scenarios that I might encounter. My journey towards the Vendée Globe in 2020 is so far the biggest sail racing project in Finland in the 2000s. No Nordic sailor has yet participated in the Vendée Globe, which is widely regarded as the most demanding sailing competition in the world. Getting to the starting line requires success in other important competitions in 2018 and 2019, partnerships to ensure my boat is up to the required standards, and top performance by everyone in the support team. This project and each competition leading up to it will test my personal limits unlike any of my adventures before this. Success in finishing the Vendée Globe would mean a new chapter in the Finnish and Nordic history of sailing. I believe I am finally up to this challenge.